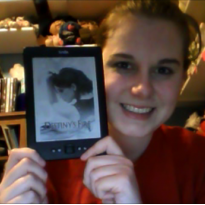 This book begins with Gabrielle as a small child and then gradually introduces her into adulthood where she is to marry a Scottish Laird in order to break the barrier between England and Scotland. It doesn't take long for something to go wrong. Since I had just previously finished a historical fiction I seemed to get a bit caught up trying to figure out the timeline of what was happening as well as where this land of St. Biel was, soon to discover it is fictional. Setting: This book is set briefly in Wellingshire, England and then in the Scottish Highlands in medieval times during the reign of King John of England (1199-1216) and King William of Scotland (1165-1214).Characters: Lady/Princess Gabrielle is the daughter of a well-to-do English Baron and Princess Genevieve of St. Biel (a fictional country that is now under English control). She is surrounded by her 4 guards sent to her by the people of St. Biel. My favourite character was tied between Lady Gabrielle and Colm McHugh, a Scottish Laird introduced about a quarter of the way through the story. Gabrielle is in some ways very naive and innocent yet would never want to put anyone out on her behalf, to the frustration of others, which is endearing. Colm on the other hand speaks his mind yet rarely shows his emotions or feels the need to explain himself. When they are together more often then not Colm leaves something unsaid which Gabrielle takes the wrong way and disappears before he can clarify anything. I found Colm seemed very cold and stern at first but as Gabrielle got to know him more so did the reader, seeing a different side of him. Other characters include a handful of other Scottish Lairds, lots of Scottish Clansmen, Clergy from a Scottish Abbey, Gabrielle's parents, the King of England (John), and two English barons who both want Gabrielle for themselves.Age Recommendation: Due to some explicit content and violence I would recommend this book first and foremost to adults but could also be read by some mature young adults.Overall, I really enjoyed this book and it didn't take me more than a couple days once I actually got to reading it steadily. I liked how each chapter was fairly short so the phrase "Oh I'll just read one more chapter..." came into my mind on several occasions (Usually resulting in me reading a handful more before I ever would put it down). 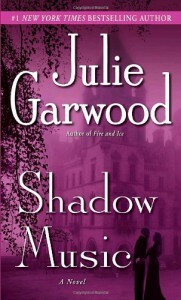 I do however wonder why Julie Garwood decided to name the book "Shadow Music" and was surprised when the explanation of the title was revealed so early on in the book and seemed to not embody the main storyline at all.I wonder if part of the reason I liked this book was for its own merit. I have never read any other Julie Garwood book so I didn't have any preconceived notion of what her writing was like, no other books of hers to compare it to, and definitely didn't have any particular expectations before reading it.